If you’re looking to update your home to create a luxury and contemporary feel for 2019, a great place to start is with your master bedroom. Your master should offer a tranquil space, free from clutter that’s ideal for unwinding and getting a good night’s sleep. When it comes to key pieces such as your bed or dressing table, these are often pieces that we don’t replace for a number of years. This can result in hanging on to outdated and worn pieces for too long, and just ‘making do’ with what you have. However, the master bedroom should have a luxurious feel, whether that means plush finishes or high quality materials, the bedroom should feel like a safe haven to retreat to at the end of a long day. Of course if you take this approach it can feel like you might end up updating your bedroom furniture every few years or so, but there is a way around this. Instead of choosing on-trend pieces, invest in quality and classic design that will stand the test of time, so that you can enjoy a luxury finish in your master for years to come. Just because you’re going for classic doesn’t mean you can’t inject a little personality into your scheme. Try choosing one statement piece and the rest will fall into place. We love the Matisse Double Bed from the Urban Collection by Naustro Italia. In a stunning terracotta shade, this will add warmth and colour that won’t date quickly. Team this beautiful bed with something more simple when it comes to choosing bedside tables. Try the Hamilton Bedside Table by Porada – this classic style will compliment the terracotta of the bed perfectly. Try pulling the look together by adding a few bohemian fringed cushions to the bed. It’s a dream to sleep in a luxurious hotel style bed every night isn’t it? The quality of sleep you get in a high-end hotel just doesn’t seem to be replicable. It’s all about comfort and quality, and it is possible to get an amazing night’s sleep at home. 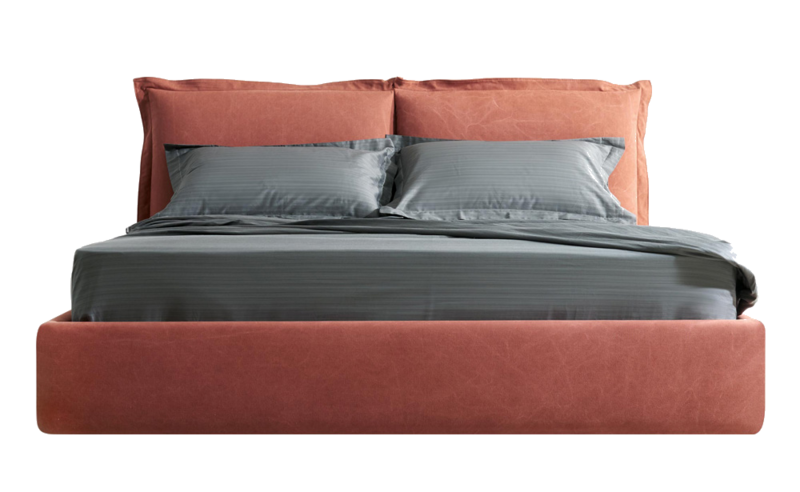 For hotel worthy style and comfort, try the Omega Double Bed by Presotto. In a beautiful worn leather finish, the pintuck detail of this bed adds texture but keeps things simple. Complete the look with a pair of the Degree Bedside Tables either side of the bed. This multifunctional piece provides extra storage so that you can tidy unsightly clutter away. Replicating a unique piece of art, the black top and cork body will compliment the Omega bed perfectly. You can’t go far wrong with a simple and contemporary wood and upholstered bed frame. The Logo Bed Design #4 is a timeless design that’s chic and understated. Best of all, this striking piece comes in a range of finishes and is fully modular so that you can create the perfect piece to maximise your space. In choosing something simple and classic, you can update your style in accordance with your taste over the years – simply update your bedding, swap your cushions and bedspread, or change your artwork to create a new look around this classic design. Go for a timeless design for your bedside table too. The City Nightstand with Glass Top by Calligaris can be made in a variety of finishes to match your Logo Bed. The glass top adds a luxury finish and can be kept simple with a solid metal bedside lamp, or updated with a playful design to add personality. Grey is a truly timeless shade and can be cosy and calming in the bedroom. A deep and plush upholstered headboard will also add to the luxury feel, while keeping things simple and understated at the same time. 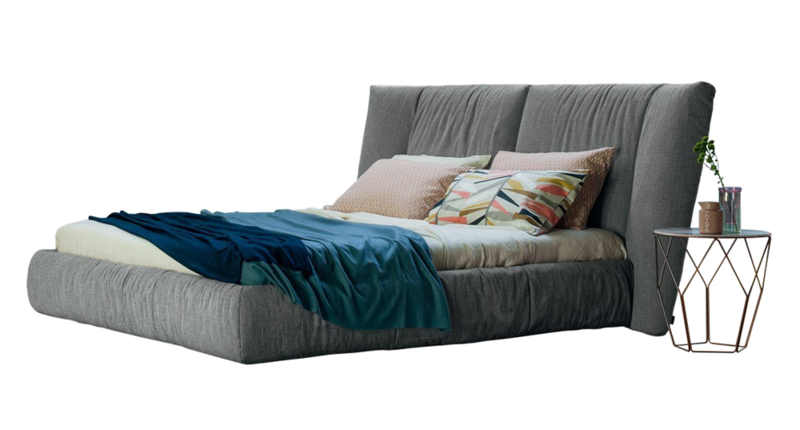 Try the Youniverse Double Bed by Bonaldo – the deep headboard will make you feel cocooned and safe, while the classic grey style won’t date. Simple white bedside tables will offset this bed perfectly. Try teaming the Youniverse bed with a pair of Password Wooden Nightstands by Calligaris. The white and grey tones of this set will mean that you can add a pop of colour with soft furnishings to update the look, or keep things simple with Scandi style and opt for monochrome finishes. The bed is often the most important element to get right when it comes to updating your master. Get that right and everything else will fall into place. For more inspiration for bedroom furniture browse our range of premium and contemporary beds now.